The Qwetch Stainless Steel Insulated Bottles are excellent quality. 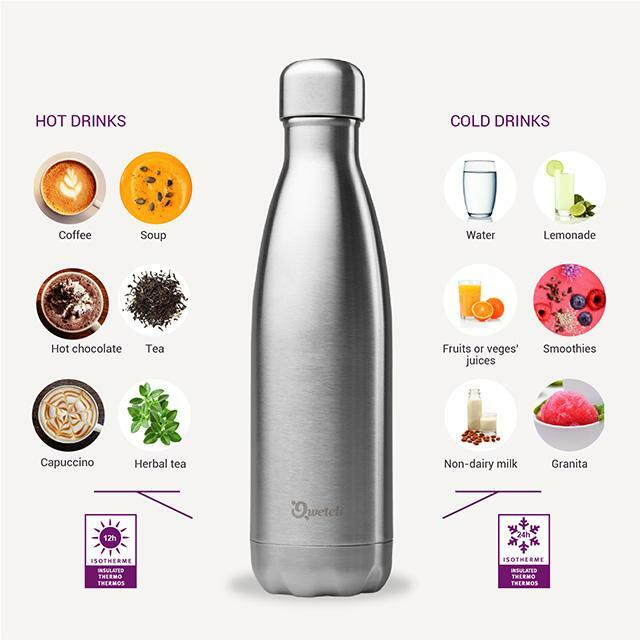 This grey, 500ml insulated stainless steel bottle comes with a smart 'granite' textured matt finish. Designed to keep drinks warm for up to 12 hours and cold up to 24 hours. Construction: two layers of unlined 18/8 (304) food grade stainless steel. Lid: 100% leak proof stainless steel and polypropylene (PP#5), designed so that only stainless steel comes into contact with liquids inside the bottle. Body: coated with matt green anise paint, with the bottom section left uncoated to avoid scuffing. Size: 500ml approximately 26.5cm high x 7cm diameter. Caution: not suitable for carbonated drinks due to build up of pressure. The huge amount of non-recyclable, disposable coffee cups and plastic waste created from the daily purchasing of hot and cold drinks has a huge environmental impact. Using and refilling a reusable bottle is an easy step to support the environment. Do You Know About The Refill Movement? 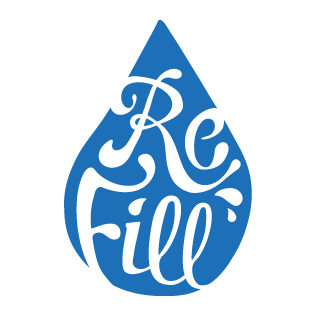 Refill is a fantastic free tap water initiative designed to reduce plastic pollution and promote healthy hydration by making refilling a water bottle easy, social and rewarding. Started in Bristol by the inspiring team at City To Sea it is now being rolled out nationally and aims to make refilling your bottle as easy, convenient and cheap as possible by introducing refill points on every street. Qwetch founder Stephane Miquel was first inspired to develop a mobile tea flask while experiencing first hand the popular tea drinking culture in China. He noticed that everybody drank tea all day long - not only at home but everywhere they went: at work, at school, at the park. He launched his first product to the French market in 2012. 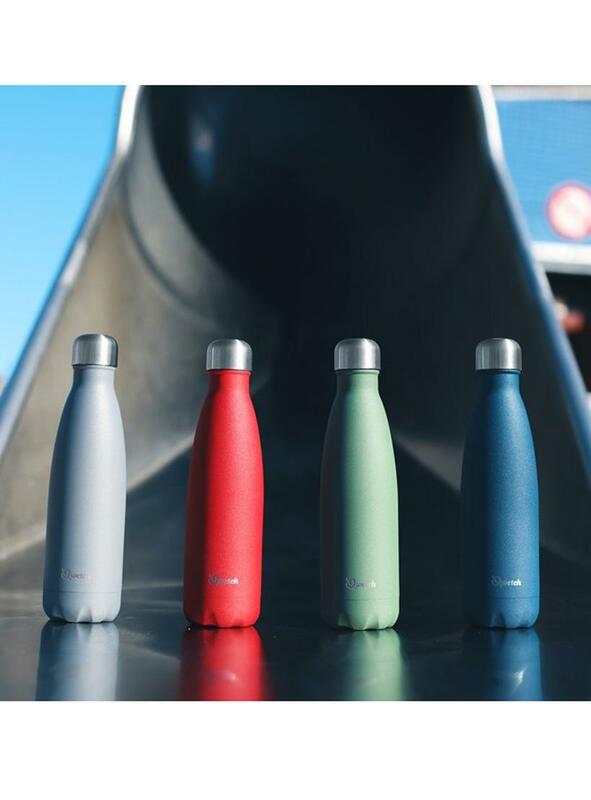 Since then Qwetch has grown into other categories of food and drink on the go, and their range now includes stainless steel insulated bottles. Design and quality have always been key to the development of any Qwetch product, and they have strict qualitative guidelines for their products. The products are manufactured in selected factories in China chosen for their social engagement and quality and are compliant with ISO:9001:2008 quality management system standards. The factories are managed very closely by the Qwetch Chinese team. Qwetch also care about protecting the health of their customers and work hard to reduce or eliminate any plastic in their products. When they do include plastic it is PP5 and is tested BPA free. All products in the range are regularly tested so that they pass EU, DGCCRF and FDA legal food contact tests.